Birkenhead Choral Society celebrated its Diamond Jubilee Season in 2015 /16 and is proud to continue its musical traditions by performing in the Wirral and Merseyside area, drawing musicians from a radius of over 20 miles. We produced a major concert as part of the Liverpool 2008 City of Culture celebrations, and continue to produce major choral works by familiar and not-so-familiar composers. The Society was formed in 1956 when the Hamilton Ladies Choir and the Birkenhead Male Voice Choir joined forces. In the early years, under its founding conductor, Charles Scarratt, the choir was successful in competitive singing at various music festivals, notably the National Eisteddfod singing in the Welsh Language and also the International Eisteddfod in Llangollen. Full details of Charles Scarratt, the early years, and the appeal for the Charles Scarratt Music Award Fund are available here. 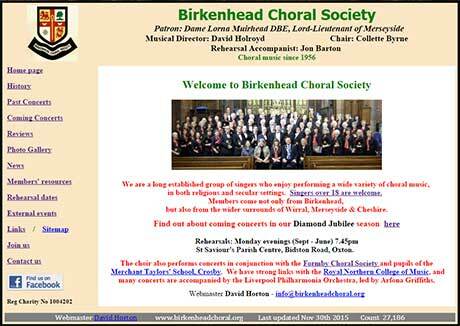 Spot a bit about Birkenhead Choral Society on the website for St Mary's Church, Birkenhead. 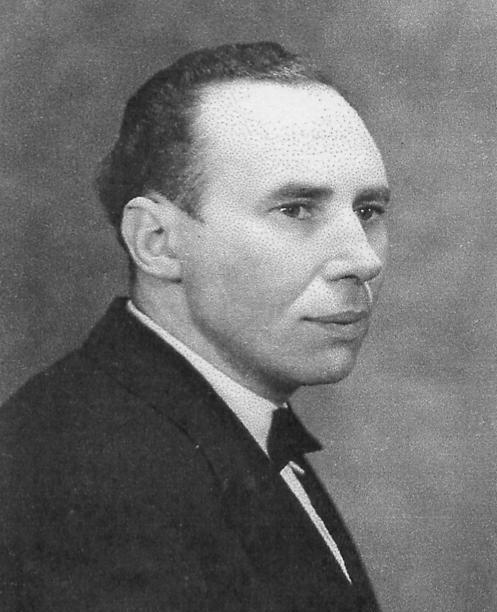 Charles Scarratt died in July 1979 and in 1981 his son, Tony Scarratt, who was Vice-Chairman at the time, wrote "We are determined to carry on the fine tradition of the choral singing, which has been the choir's hallmark for the last 25 years." The Membership List and summary of choir achievements at that time are available here. Following the founder’s death and a number of interim conductors, David Holroyd took over in 1985, since when the choir has concentrated its efforts towards producing choral works of a high standard, and has firmly established a regular programme of concerts in Birkenhead. Over time the Society has forged links with Formby Choral Society to produce larger scale works at the Philharmonic Hall, Liverpool and to share in European tours. We also work with the Royal Northern College of Music, and link with young people in our Wirral Schools. Locally we share ideas with other Music Societies and liaise with the local community. You can find a compact summary of all our concerts since 1989 here.